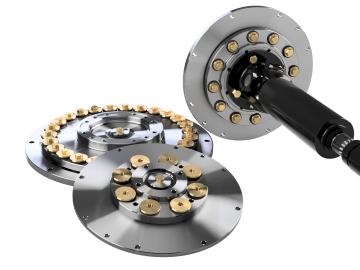 Yoke Drive Flywheel Couplings | Hayes Manufacturing, Inc. The internally supported Yoke Flange Flywheel Coupling will amaze you with its driving ability. Others have tried and not come close to the reliability offered with this flywheel coupling. It has been proven in the field and has become very popular in the industry. It continues to outwork the competition. Try one today! 1,000’s in service across the U.S.